We are delighted to share these books which we recommend to students during our two-year Hekademia Tarot Course. These 22 recommendations include our own books, used for many of the course materials, and containing innovative methods unique to our approach of Tarosophy: Tarot to engage life, not escape it. 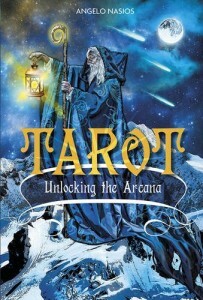 We also list here several other books that inform and support many of our approaches to Tarot, or widen your study into the diversity of divination. 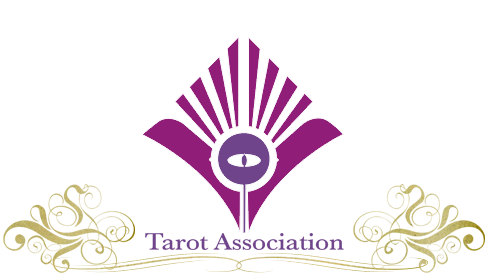 We then list further below special subject areas to broaden your library or pursue special areas of interest in Tarot, based on the modules of the Hekademia 2-year Tarot course, for which this serves as a reading list. 1. Tarosophy, Marcus Katz: Thirty years of experience distilled into innovative techniques & methods, this is our signature book. 2. Tarot for Yourself, Mary K. Greer: The most widely-regarded personal workbook for tarot. 3. Tarot Wisdom, Rachel Pollack: A summation of Rachel’s work-to-date on the tarot, covering a huge spectrum of ideas. 4. The Tarot: History, Symbolism & Divination, Robert Place: An accessible history of tarot. 5. Around the Tarot in 78 Days, Marcus Katz & Tali Goodwin: Our beginners/intermediate workbook used for the 3-month Diploma course. 6. 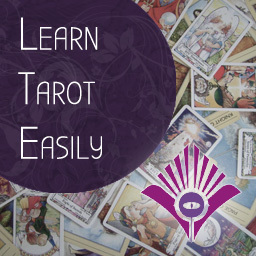 Tarot 101, Kim Huggens: A superb modern workbook for absolute beginners, the basis of our 10-week Certificate course. 7. Tarot Coupling, Gina Thies: An essential guide to answering 3 out of every 5 questions you will ever be asked. 8. Tarot: The Open Reading, Yoav ben Dov: Whilst on the Marseilles deck, this is a fantastic book for all symbolism. 9. Tarology, Enrique Enriquez: Shake your Head Up with this poetic and unique style of reading. 10. Understanding the Tarot Court, Mary K. Greer & Tom Little: Our go-to book for Court Cards. 11. Tarot Face to Face, Marcus Katz & Tali Goodwin: A practical guide to reading for other people in every way. 12. Tarot Reversals, Mary K. Greer: Our go-to book for Reversals. 13. Meditations on the Tarot, Anon: The book that shows the depth of Tarot and correspondence to hermetic mysticism. 14. Tarot in Culture, ed. Emily Auger: 2 volumes of essential contemporary reading on a wide variety of tarot topics. 15. A History of the Occult Tarot, Ronald Decker & Michael Dummett: Essential reading on how tarot became occult. 16. Tarot Twist & Tarot Flip, Marcus Katz & Tali Goodwin: Our own small but unique books, containing 78 new ways of reading. 17. A Cultural History of the Tarot, Helen Farley: Now hard to get, but a good guide to tarot history to the modern day. 18. Tarot & Astrology, Corrine Kenner: Our go-to book on the correspondence of Tarot & Astrology. 19. Jung & Tarot, Sallie Nichols: The essential reading for starting to look at the psychology of Tarot through Jungian thought. 20. Tarot Spreads, Barbara Moore: A nifty practical guide for those who like to have a range of “set” spreads. 21. The Complete Guide to the Tarot, Eden Grey: Considered the classic and seminal text of tarot card “meanings” and a major influence on many following authors and teachers. Also her Mastering the Tarot which is a classic text for everyone. 22. Choice Centred Relating and the Tarot, Gail Fairfield: A good starter choice for those looking at counselling and tarot. If you are interested in the Kabbalah, we have a special Kabbalah course here which is delivered for self-study at an easy pace over a whole year, and contains almost 100 PDF study sheets and optional exercises. In the meantime, here is our essential list of Kabbalah books which will give you the main gates into Kabbalah study, so you can quickly find the path that most appeals to you. We would reccomend the Tarot Decoder book first and Dion Fortune’s Mystical Qabalah book if you are looking at Kabbalah from a western esoteric viewpoint. If you are looking to traditional Kabbalah studies, Gershom Scholem is the main gateway. Click on any image or book title to go straight to reviews and purchase from Amazon. The Chemical Wedding of Christian RosenKreutz is a classic alchemical allegory depicting the journey of a man into a strange landscape of alchemical sights and events, under the guise of a wedding. It provides years of exploration as we discern new layers of meaning in our own lives and learn how alchemy is a universal process. The story of C.R. is also the story of the initiation process in Western Esotericism, and invaluable as a lifetime teaching in that regard. The Golden Game, whilst relatively expensive, is an essential collection of alchemical images including classics such as the Mutus Liber and Atalanta Fugiens, to name but two. In large-scale detail, with notes accompanying each image, this is a useful companion and source-book to our Alchemy module. Anatomy of the Psyche is our recommended title for the correspondence between psychology and alchemy. It is complex but accessible, and opens up whole new areas of exploration, working through each stage of the alchemical process. Whilst not a “practical” book, it provides insight into many practical aspects of our behaviour, through the lens of alchemy. It is also essential reading for those engaged in the grade-system of Western Esotericism. This is a vast subject, we have listed here our own favourites and those giving you different avenues into the subject for further exploration. Greer, Mary, Tarot Constellations: Patterns of Personal Destiny (North Hollywood: Newcastle Publishing, 1987) – republished as Who Are You In the Tarot. An extensive subject which we cover in overview during a class in module T1, and return in more detail though 6 classes in the Tarot & Psychology module. This list is sub-divided into specific areas and those listed in bold are most highly recommended. Campbell, J. Myths to Live By. Souvenir Press: London, 1983. Greene, L. & Sharman-Burke, J. The Mythic Journey: The Meaning of Myth as a Guide for Life. Gothic Image: Glastonbury, 1999. Vogler, C. The Writer’s Journey. Michael Wiese Production: Studio City, 2007. Clarke, R. B. An Order Outside Time: A Jungian View of the Higher Self from Egypt to Christ. Hampton Roads: Charlottesville, 2005. Moore, R. & Gillette, D. King, Warrior, Magician, Lover. HarperCollins: New York, 1991. Bly. J. Iron John. Addison-Wesley: Reading, 1990. Perera, S.B. Descent to the Goddess: A Way of Initiation for Women. Inner City Books: Toronto, 1981. Harding, E. Woman’s Mysteries: The Inner Life of Women revealed in religious myth and ritual. Century: London, 1989. 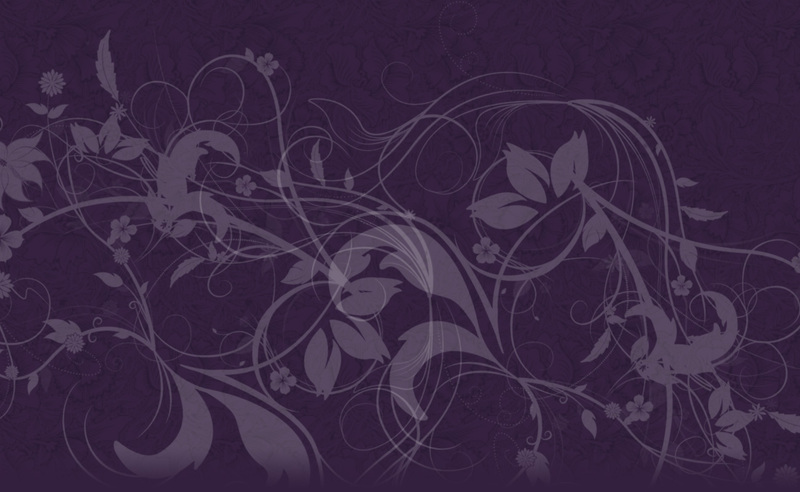 Murdock, M. The Heroine’s Journey: Woman’s Quest for Wholeness. Shambala: Boston, 1990. Feinstein, D. & Krippner, S. Personal Mythology: Using Ritual, Dreams, and Imagination to Discover Your Inner Story. Unwin: London, 1989. Samuel, R. & Thompson, P. The Myths we Live By. Routledge: London, 1990. Begg, E. Myth and Today’s Consciousness. Coventure: London, 1984. Nichols, S. Jung and Tarot: An Archetypal Journey. Weiser: York Beach, 1980. Hall, J.A. Jungian Dream Interpretation. Inner City Books: Toronto, 1983. Fairfield, G. Choice Centered Tarot. Weiser: York Beach, 1997. Rosengarten, A. Tarot and Psychology. Paragon House: St. Paul, 2000. Sargent, C. Personality, Divination and the Tarot. Rider: London, 1998. Campbell, J & Roberts, R. Tarot Revelations. Woudhuysen, J. Tarot and Therapy (also pub. As Tarotmania). Tarcher: Los Angeles, 1979. Jung, C.G. Synchronicity: An Acausal Connecting Principle. Ark: London, 1987. Von-Franz, Marie-Louise. On Divination and Synchronicity. Inner City Books: Toronto, 1980. Main, Roderick. Revelations of Chance: Synchronicity as a Spiritual Experience. State University of New York Press: Albany, 2007. Summers, C. & Vayne, J. Personal Development with the Tarot. Quantum: Berkshire, 2002. Gardner, R. Evolution Through The Tarot. Weiser: New York, 1981. In module T2, which commences the second year of the Hekademia, we survey the whole oracular tradition of which Tarot is a relatively contemporary stream. We look at the I-Ching, Runes, Ifa oracles, and the ancient oracles of Greece. This deepens our appreciation for the role of a Tarot Reader in modern society as a part of a deeper oracular tradition. We also consider the place of Tarot in Hermetic philosophy as it arose in the Renaissance. This module also allows us to practice deeper Tarot as we acquire “oracular language” from Antiquity and apply it to our reading methods. Smith, R. & Meyer, M. Ancient Christian Magic. HarperSanFrancisco: San Fraancisco, n.d. These books represent an overview of ideas and discoveries that relate to the process of how we read Tarot in a scientific light. Douglas R. Hofstadter & Daniel C. Dennett, The Mind’s I. Penguin Books: Harmondsworth, 1982. Timothy D. Wilson, Strangers to Ourselves. Harvard University Press: Cambridge, 2002. Benjamin Libet, Mind Time. Harvard University Press: London, 2004. Daniel M. Wenger, The Illusion of Conscious Will. Bradford Books: Cambridge: 2002. George Ainslie, Break-Down of Will. Cambridge University Press: Cambridge, 2001. Evan Harris Walker, The Physics of Consciousness. Basic Books: New York, 2000. Antonio Damasio, The Feeling of What Happens: Body, Emotion and the Making of Consciousness. William Heinemann: London, 2000. Malcom Gladwell Blink. Back Bay Books: New York, 2005. Michio Kaku, Hyperspace. Oxford University Press: Oxford, 1994. Itzhak Bentov, Stalking the Wild Pendulum. Destiny Books: Rochester, 1998. Lyn McTaggart, The Field. HarperCollins: New York, 2001. Ervin Laszlo, The Interconnected Universe. World Scientific: London, 1999. James Gleick, Chaos. Sphere Books: London, 1988. Gregory Stock, Metaman: Humans, Machines and the Birth of a Global Super-organism. Bantam Press: London, 1993. Anthony Peake, The Daemon. Arcturus: London, 2008. Platon, Timaeus. J. M. Dent: London, 1965. Louise B. Young, The Unfinished Universe. Simon & Schuster: New York, 1986. Michael Conforti, Field, Form and Fate: Patterns in Mind, Nature and Psyche. Spring Journal Books: New Orleans, 1993. Douglas R. Hofstadter, Metamagical Themas: Questing for the Essence of Mind and Pattern. Penguin Books: London, 1985. As 3 out of every 5 questions asked of a professional tarot reader will be with regard to relationships, we provide several classes and supervision sessions on relationship readings. These are our recommended books as background reading. Love & Fateful Encounters: The Power of Romantic Passion, Ethel Spector Person: A ground-breaking book for those wishing to understand the psychology of romance itself in an empathic manner. This under-recognised book is often available second-hand for a few dollars. Soul Mates, Rita Rogers: Whilst you may have varying beliefs on “soul mates”, it is important to appreciate how many others generally see this concept, which is often raised by clients. The Dance of Intimacy: A Woman’s Guide to Courageous Acts of Change in Key Relationships, Harriet Lerner, Ph.D. An important book on defining or refining your relationships. As relationships are by definition unique and personal, and bound to cultural conventions (or unbound) we suggest these books merely as starting-points for your own explorations of the nature of relationship, romance and love. As a Tarot reader, you will encountering this every day in your work.